In this episode, we introduce our ground-breaking, revolutionary four-part breakdown of player archetypes. We're podcasting this Saturday. 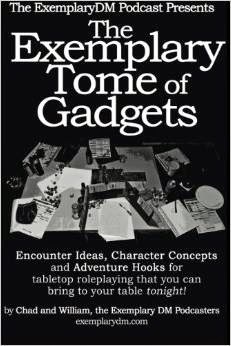 The topic will be, "How demanding should a DM be on the players?" Drop us a line at exemplary dm at g mail dot com (no spaces) if you have any input, we'd be happy to read your comments on the podcast and argue about them!